Winter can provide treacherous driving conditions for motorist; whether its falling snow or icy roads extra care and preparation are crucial to staying safe. Plan your route in advance, check weather and traffic reports and ensure you have allocated additional time for any delays. It is illegal to drive with poor visibility so ensure all windows including rear and side windows are cleared; allow additional time in the morning if necessary. If there is snow on the roof of the car it is a good idea to clear this as well to prevent snow falling onto your windscreen when braking. 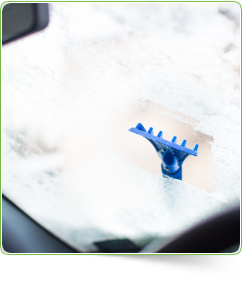 Make sure screen wash is topped up with a product that won’t freeze. There are a number of levels of screen wash and anything from -10 to -35 will be suitable. Without appropriate screen wash your windscreen wipers could be rendered useless. The extra strains on battery usage for heaters and heated windscreens can have a negative effect on battery performance, especially when doing short or stop start journeys and we noted a 32% increase in call outs for battery related incidents last winter, ensure yours is prepared or where necessary replaced. Remember to check your windscreen wipers are switched off before starting your engine. This could blow the fuse if they are frozen to the windscreen. 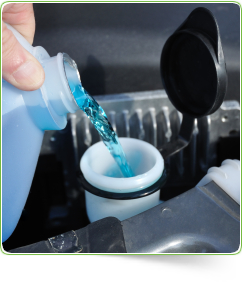 Ensure engine coolant (antifreeze) is between the min and max indicators, this will help protect your engine and stop the radiator freezing. This can be difficult to carry out yourself and we’d recommend you get this checked by a garage where possible. Always check tyre pressures and make sure tyres are fully pumped up to manufacturer’s recommendations. The legal requirement for tread depth is 1.6mm, although we’d suggest 2mm is a bare minimum for winter with 3mm being optimum. 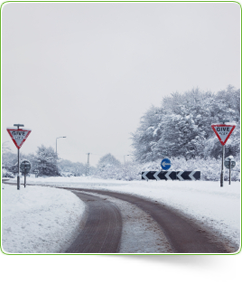 If you live in a particularly rural area it may be worthwhile investing in winter tyres. Winter tyres have different tread patterns to provide greater traction and stability and they are also made with a different compound containing a high-silica content; this softer and more pliable material provides more grip at lower temperatures.